EEOC v. Original Honeybaked Ham Co. of Georgia, Inc., is the subject of today’s post. I first wrote about this case in November, when the Colorado District Court granted a motion to compel the EEOC to turn over social-media content of claimant-employees. The court acknowledged that discovery of social-media content presents “thorny and novel issues.” But, finding that the postings were relevant to the issues in the case, the court ordered that it be turned over. In an unusual twist, the court required the EEOC to turn over the log-in information and passwords of the claimants to a special master, who would make an initial determination of discoverability. I concluded that the decision was a well-reasoned attempt to balance the individual claimants’ privacy interests with the defendant-employer’s right to broad discovery of potentially relevant information. Faced with these two competing interests, the court crafted a fairly complex, multi-tiered, and dynamic process for the collection, review, and production of the information from the employees’ social-media accounts. The employer files a motion for sanctions, alleging that the EEOC had failed to comply with the court’s order to produce the social-media data. 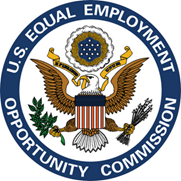 The court granted the motion, finding that the EEOC had, in several material respects, made the discovery of claimants’ social media “more time consuming, laborious, and adversarial than it should have been.” In short, the court found that the EEOC had agreed to various discovery procedures only to later renege when the “higher-ups” at the EEOC learned about the parties’ agreement and didn’t, well, . . . agree. In awarding the employer its reasonable attorney’s fees, the court had to use some judicial imagination, finding first that most of the sanctions rules did not apply because the EEOC had not litigated in bad faith. Instead, the discovery problems were more a result of bureaucracy, rather than intentional bad-faith tactics. Still, the court did find a rule that enabled it to award fees and, with any luck, send a strong message to the EEOC about the consequences of failing to cooperate (and keep its promises) during discovery. No. 11-02560-MSK-MEH (D. Colo. Feb. 27, 2013).